Happy Friday! Seeing as it’s Friday, I thought why not show you more of a party outfit, and oops it’s another satin slip dress! I hope it doesn’t look too much like I’ve thrown on a pair of boots with my PJs… I’ve paired the dress with my oversized sheer shirt, I like the continuity from the shirt to the sheer underskirt of the dress. I think jewellery is key to an outfit like this too, I have on a collection of random rings and some necklaces too, including this fabulously shiny gem by Fiorelli from Nigel O’Hara. This is a typical night out outfit for me, provided I’m not going anywhere too fancy! I think something like this is a good balance between dressy and casual whilst also being comfortable, without resorting to the fairly horrendous student night out uniform of denim shorts or disco pants, a crop t-shirt and converse! Would you wear this for a night out? I love your hair colouring and this outfit is perfect! Love this, I tend to avoid black but the dress is gorgeous! Got to love an all black outfit! 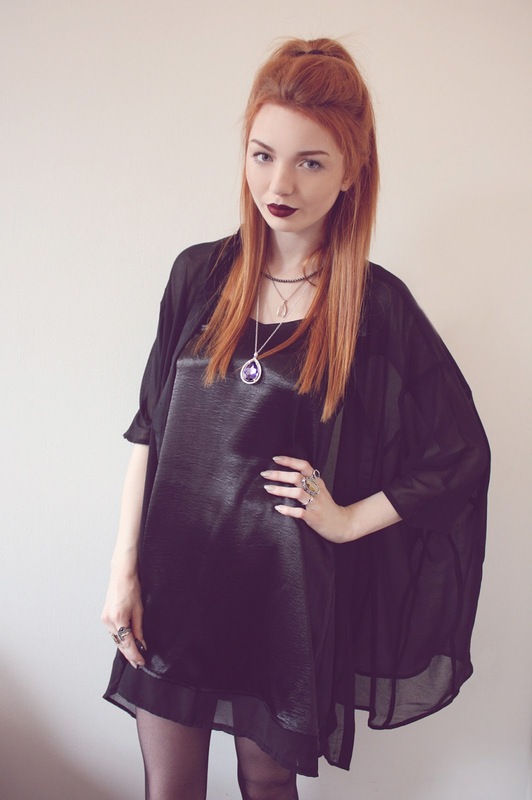 Loving the slight gothic feel to this outfit – looks amazing on you! beautiful outfit, I love the gothic feel to it! 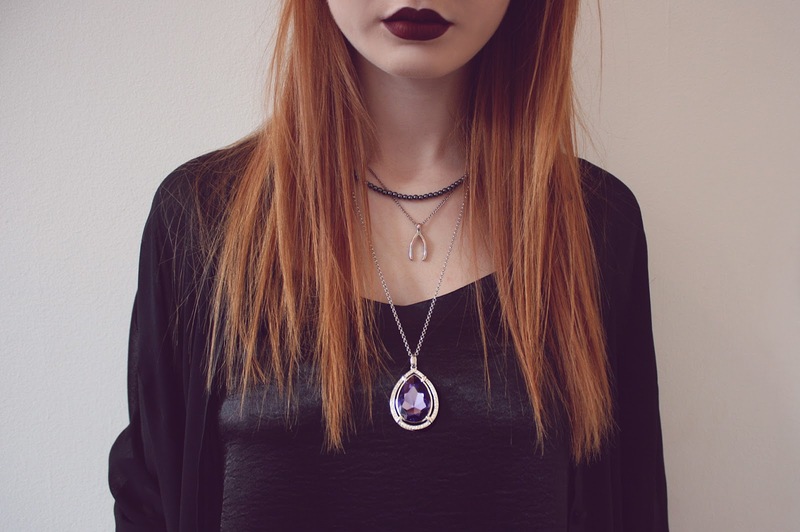 The necklace is stunning! Loved it, your hair matched your outfit like its impossible. Great outfit.